We’ve mentioned the national shortage of nurses quite a few times on this blog, and that national shortage isn’t just caused by a lack of qualified nurses… it’s also caused by a lack of teachers. In 2014 alone, U.S. nursing schools turned away nearly 70,000 qualified applicants. Note the word “qualified”-these weren’t students who didn’t have the tuition funds or high enough grades. According to the American Association of College of Nursing, over two-thirds of the colleges surveyed said they turned away qualified students because they simply didn’t have a large enough faculty to teach them all. And the problem is getting worse. According to the Longview News-Journal, the average age of a nursing teacher in America is 56 years old-which means much of the country’s nursing faculty are within five to ten years of retirement. Unless something changes, this could mean an even greater shortage of teachers within the next decade. So what’s behind the shortfall? Money, for starters. A professional nurse practitioner can make up to $91,000 a year, according to the American Academy of Nurse Practitioners. A masters-prepared assistant professor in nursing, on the other hand, makes closer to $74,000 on average-a downgrade of $17,000 a year. Teacher education is also a problem-the shortage of nursing professors doesn’t just affect the number of nursing students a school can take, it also affects the number of future teachers applying for master’s and doctoral degree programs. So if you’re already a Unitek College nursing student, count yourself lucky! And if you’re considering joining the Unitek College family as a nursing student, there’s no time like the present to send in that application. 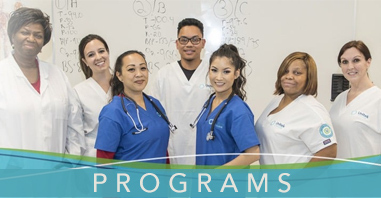 Once in, you not only have a spot in our classrooms, but you have access to our well-trained faculty, medical labs, clinical rotations, and more. And as you plan your career as a nurse, keep in mind the great need for nurse faculty. If you’ve enjoyed learning from our Unitek College faculty, perhaps one day you’d like to offer the same knowledge, experience, and wisdom to a new crop of eager nursing students. 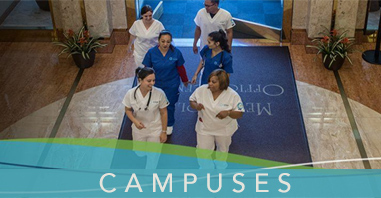 For information on joining the Unitek College fast-track nursing program, contact us here today.